A revolutionary product, Environ Eye Gel hydrates the skin and combats fine lines and wrinkles. It makes the skin look younger and protects collagen. 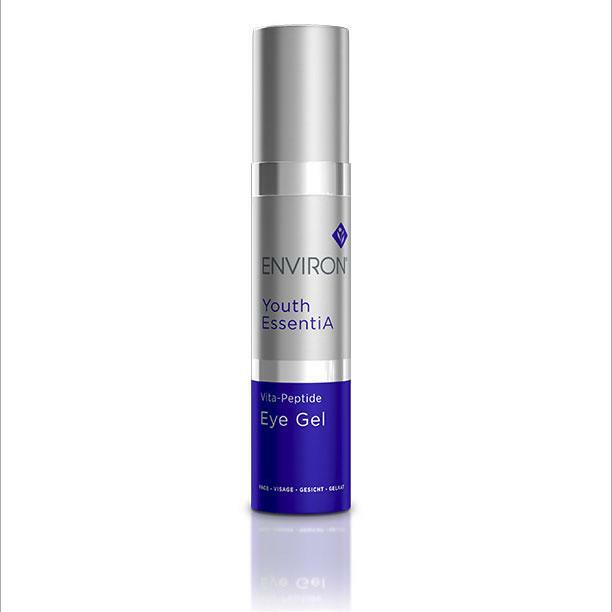 Environ Vita-Peptide Eye Gel contains antioxidants, essential vitamins, and selected peptides. So it hydrates and firms the delicate eye area. Because it penetrates deeply into the eye area, skin looks younger. And it assists in improving sun damaged skin. The appearance of fine lines is minimized. Skin looks younger for longer. Most importantly, fine lines may not reappear. Regular usage of Environ Eye Gel protects collagen. Vitamin A helps hydrate and smooth the eye area. So skin achieves a radiant glow. Our SPA estheticians have received positive responses from clients who like and purchase this product. Helps to reduce fine lines and wrinkles. And often they don’t reappear! The eye area looks radiant with consistent use of Environ Eye Gel. Vitamins A, C and E helps the delicate eye area skin appear firmer. It rehydrates and refreshes the skin. Sun damage is improved because of the specially selected ingredients. Deep penetration helps protects the all-important collagen. And in addition, it “plumps up” the skin. In addition, it revitalizes and refreshes. You’ll like this effective anti-aging product. Please see ingredient tab listing for important information about Environ Eye Gel and Counterfeit Environ products. 1. 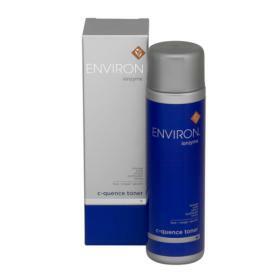 Pre-cleanse, cleanse and tone the skin with your preferred Environ SkinCare products.2. Apply Vita-Peptide Eye Gel sparingly to the whole eye area.3. Continue to apply your recommended Environ vitamin A moisturizer.4. Use morning and evening.5. Appropriate for all skin types, especially those who show visible signs of premature aging. Not recommended for problematic skin.